Inspired by OR designed for cats. 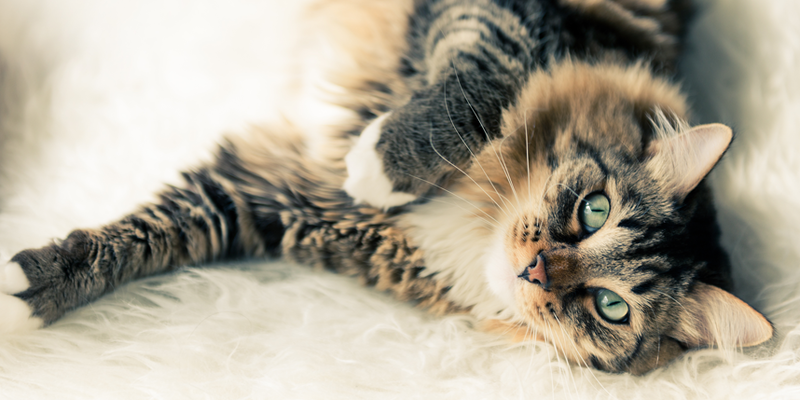 Making your home feline-friendly is a must for cat owners. Why not have a little fun and look at some outrageous and practical ideas for taking your cat into consideration when it comes to home décor? 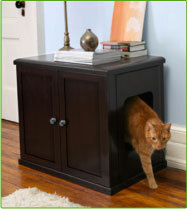 Check out these snapshots to get an idea of both the functional and the fantastic when it comes to cat-furniture. FILL IN THE CAT Five Mexican designers used negative space to design this cat-inspired shelving unit, which plays on the continuous nature of a cat’s curiosity. ROLE REVERSALWe know cats are larger than life, but Belgian Design Studio “Unfold” took it to a new level when they constructed a giant 3.5 meter sleeping cat as part of their “Felis Domesticus” exhibit. The art project highlighted a cat’s attachment to its habitat and the enormous felt cat allowed visitors to sit in a feline’s lap. THE CAT CACOONDesigner Warren Lieu used multiple pieces of corrugated cardboard to design a cat hide-away that doubles as a truly unique scratching post. Cat’s love to use cardboard to sharpen their claws and this little scratcher sculpture features holes that allow felines to peak out. Form meets function! LEAVE IT INDOORS Pet Tree Houses offers the best of both worlds with a multitude of offerings that use real trees to create unique cat environments. 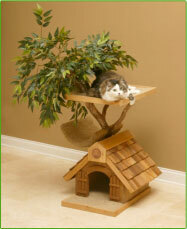 With platforms for perching and wood homes for hiding away, even indoor kitties can feel a little rustic. LITTER LUXURYTired of the plastic pan? The folks at The Refined Feline came up with the Refined Cat Litter Box™ – a litter box that doubles as a piece of furniture. It comes in multiple finishes to match your home décor and – unless you look closely – you’d swear it was something passed down through the family for generations. 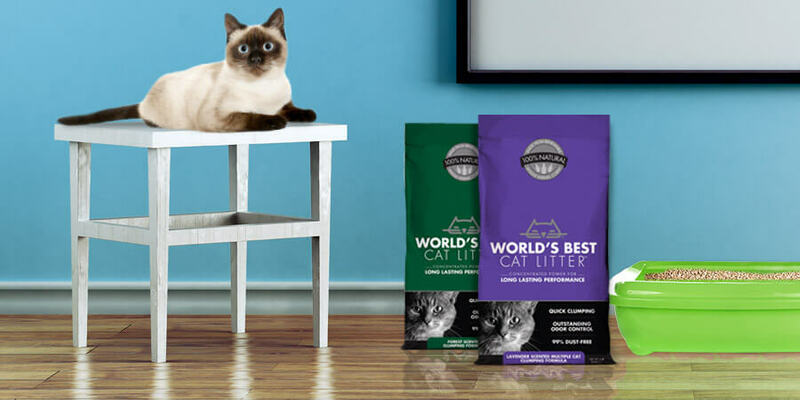 Fill its sliding tray with World’s Best Cat Litter™ and your litter box woes literally disappear! Do you have any unique cat-inspired furniture or whether it be homemade or purchased?